Do you just make wedding cakes? No!! We make cakes for all occasions - birthdays, anniversaries, baby showers, etc. We believe that a party without cake is just a meeting!! Our retail shop sells mini desserts, cheesecakes, bars, brownies, cake truffles, French macarons and fabulous cookies! We always have on hand a selection of decorated yummy cakes as well. When should I book my wedding cake? In order to assure that we can fit your cake into our schedule we recommend that you contact us as soon as you have a firm wedding date and your venue is booked. Because we do a limited number of cakes the sooner the better! Feel free to contact us with your wedding date to check availability and to schedule a consultation and cake tasting. Most couples book our services six months to a year before their event. We have been known, however, to stay up all night to complete last-minute orders. What is the process of ordering a cake? We recommend that you make an initial enquiry by email, giving us your date, delivery location, number of guests and design ideas (images are good!) so we can give you a rough estimate. Then we can provide a firm quote. I heard that your cakes are expensive because you were on the Food Network. Is that true? It’s true we were on the Food Network but not true that our cakes are more expensive because of it. Our pricing is very competitive. Can I have a different flavor in each tier? Yes! You can have as many flavors as you have tiers. And we don't charge extra for this. Yes we do - please contact us by email with full particulars about your wedding!! I have a photo of a cake I want, can you copy it? You are welcome to bring in photos of cakes from other designers as part of an inspiration board; however we do not do copies of others' work. We also ask for others to respect the copyright ownership of our original cake designs. Do you have more photos of cakes apart from those on your website? Yes! We are a busy studio and are making beautiful new creations every week. Our Instagram page has our most current design images. And while there, please follow us!! Any materials you have from your wedding can help in arriving at the perfect cake design. Invitations, fabric/color swatches, inspiration boards and images or lists of your floral decorations will all assist in visualizing the look of your day and design a cake to match. It's impossible to offer a hard-and-fast price list, since each cake incorporates so many variables. We take into account the number of servings, the complexity of diverse design elements, cake flavor choices and delivery location. Sometimes a smaller cake may take longer to create than a larger one, and therefore, it will be priced higher per slice (the basis for pricing used by most bakeries). Yes, we have a cute retail shop in West Sedona. We carry a line of fancy little cakes as well as a diverse assortment of gourmet desserts, many gluten free. For our address, map and directions click here. Do you make faux (or fake) wedding cakes? Scenario 1: You want to use one of our cakes for display but serve a wedding cake purchased somewhere else. Unfortunately, we don’t want our name associated with a cake someone else made. Our hard-earned reputation is on the line! In this scenario, we won’t create a faux cake. Scenario 2: Our cake is just outside your budget. 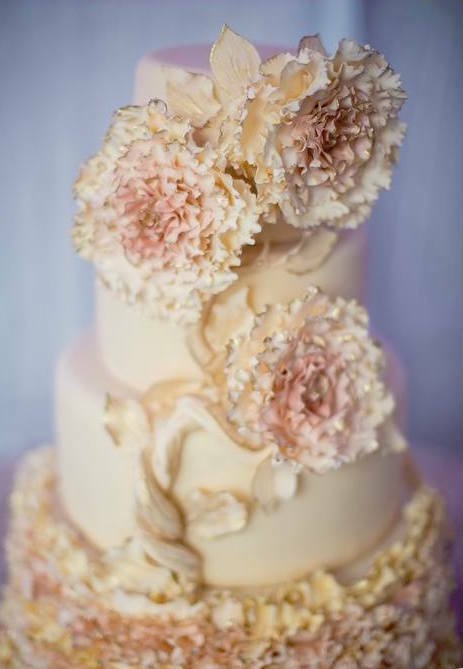 We want to work within your budget to create a wedding cake that you love. Sometimes, it is more cost effective for us to create both a faux cake and a serving tier to be kept in the back and served to guests. In this case, we will create a faux cake. Scenario 3: You want a five-tier wedding cake but only have 45 guests. For 45 guests, you would need only a three tier cake, but your dream wedding cake has five-tiers. 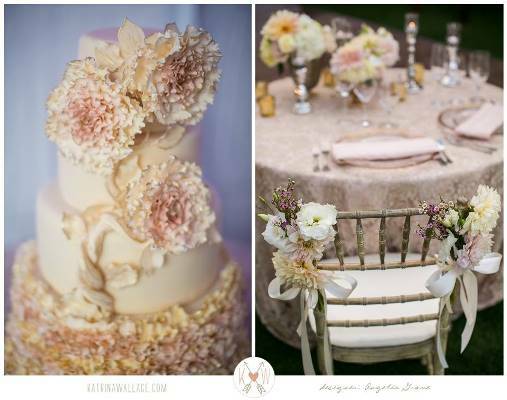 We will provide as many faux tiers as needed to create the wedding cake you've always wanted. Far! Besides the Sedona area we deliver our cakes to Scottsdale and Phoenix as well as Northern Arizona. Can I pick up my wedding cake? We don’t recommend it. Cakes–especially multi-tiered wedding cakes–are tricky business and can be surprisingly heavy. If you do choose to pick up your wedding cake, know that we are not responsible once it leaves the premises. And remember, there are only two people who can be trusted to deliver a wedding cake: the one who made it and the one who paid for it. Should I use a licensed bakery or someone who makes cakes in their home? In 2011 a law passed in Arizona allowing anyone to sell baked good prepared in their home. There are no inspections required. As such there are no restrictions on whether or not they can have pets in the household and obviously, the kitchen. Since unlicensed cake companies are uninspected by any government agency they are not held to any standards of food preparation cleanliness. When you choose any wedding vendor, you should choose a company that gives you peace of mind. Just remember, if you conduct your cake tasting at a Starbuck's and hand over a deposit check, the only way you’ll ever find this person again is likely a cell phone number. We have received "emergency wedding cake" calls and emails from couples who have had their cake person "disappear" or "quit doing wedding cakes" just before their wedding date, even if it’s your Aunt Edna. Make certain that you do your research before selecting any wedding cake company and check how long they have been in business. Can we use fresh flowers on our cake? Yes! Fresh flowers can be beautiful on a wedding cake, and can be more affordable. However you do need to be careful. Some fresh flowers (callas, lilies, etc.) are poisonous. Check with your florist. We don't like fondant...Can we have a buttercream cake? But before we go there let’s talk about fondant. Fondant is no different than wine in that you can buy an $8 “Box” of wine from the bottom shelf of your grocery store or a $200 top-shelf bottle of wine. There are grades of fondant. And unfortunately most cake people use a cheap, readily available fondant, which has given it a bad rap. We use a white chocolate based “fondant” that we import from Switzerland which tastes great and provided the “look” of fondant leading to limitless design elements. We have an outdoor reception - Is a buttercream cake OK? Maybe, depending on the time of year and outdoor temperature. We use pure butter (Yum!) in our buttercream (no icky shortening!!) and butter melts at 90 - 95 degrees. Do the math!